In my book, “THE SIGNS OF OUR TIMES,” I write about how God destroyed the “man-made” global warming theory by bringing a historically cold winter in 2017-2018. He did it again, and then some, at this close of the 2018-2019 season. This week, tens of millions of Americans experienced unbearable temperatures of 30 degrees below zero – or lower – during the “Polar Vortex.” Some areas in the northern U.S. saw temps fall as low as 60 degrees below zero! Where I live, in southeast Michigan, the temps had the ability to cause frostbite within 5-10 minutes throughout a 48-hour period. In the Metro-Detroit area, 99-year-old record low temperatures were shattered. In nearby Illinois, Chicago broke records as well, registering temps nearly 50 degrees below zero with windchill. Not to mention, a new record low temperature for the State of Illinois was set during the Vortex. States of Emergency were declared in Illinois, my home State of Michigan, Wisconsin, Alabama, and Mississippi. 2 of these States – Illinois and Wisconsin – were among 6 States that recorded temps as low as the South Pole. The other 4 were North Dakota, South Dakota, Minnesota, and Iowa. Speaking of Minnesota and Iowa, Minneapolis recorded 14 consecutive hours of “Real Feel” temps of 50 degrees below zero; and in Des Moines, Iowa, the temperature fell to nearly 60 below zero. Sometimes I wish that the global warming theorists were right, because this record-breaking cold is miserable for those of us who live in the North. I believe that the Polar Vortex was meant to be miserable for the Northeast, especially for New York. It could have been a judgment sent by God. The “once-in-a-generation” deep freeze began on the night of January 29th – exactly 7 days after New York’s abominable abortion on demand bill was signed into law. The number 7 is associated with the LORD for numerous reasons, and in the Book of Revelation it is synonymous with His judgments upon a world laden with sin. The record-shattering cold put the God-denying global warming advocates on their heels, and they tried to come up with every explanation as to why the global cooling was “the result” of global warming. There is only one plausible explanation for the historic Polar Vortex, and that is a God Who controls the weather on Earth. Every other theory will always fall apart. 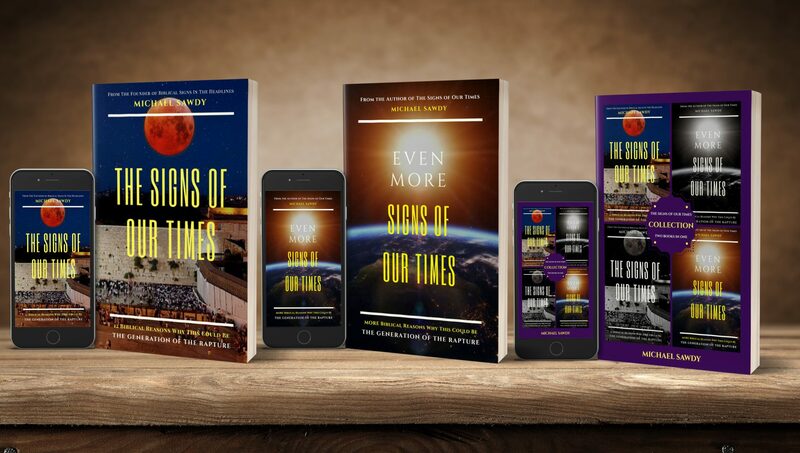 I just finished your book, “The Signs of our Times.” I was very impressed with your knowledge of the Bible and of historical events. I’ve been looking for a book that could tie these two things together for me and show me how it all relates to the end of times. This book did that for me. Thank you for writing this book and for having a website that updates us with the daily events that are occurring that continue to relate to the end of times. Thank you so much Julie! Glad you enjoyed my first book. If you bought the book on Amazon would you please take a minute to leave your review there? God bless you.